One day I’ll post a recipe that doesn’t involve pasta, but now is not that time. Now is the time for vegan baked macaroni and cheese! 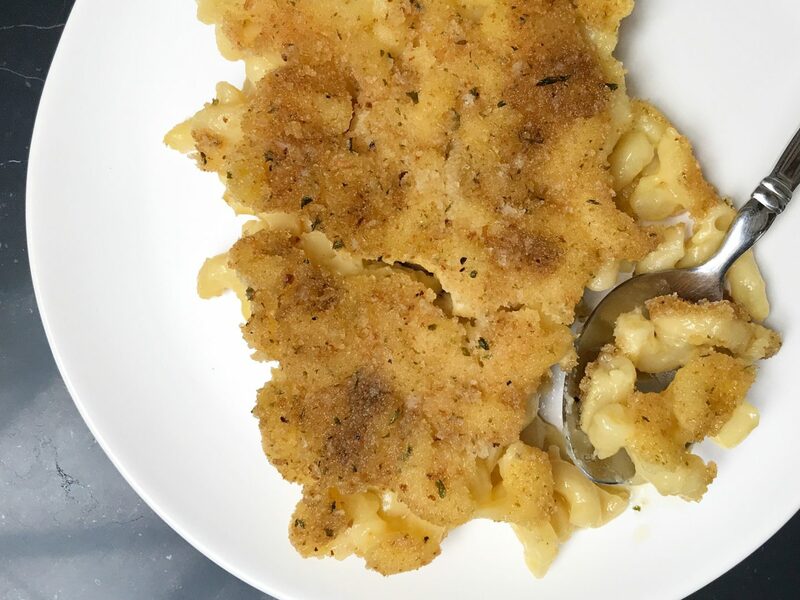 Not that this makes me very unique, but growing up my one of my favorite foods was macaroni and cheese. Specifically, I loved the boxed stuff by Kraft and the baked variety by Mom. As an adult, any hankering I have had for Kraft mac & cheese has been easily satisfied by making a box of Earth Balance dairy-free mac & cheese. The craving for Mom’s macaroni and cheese has been a little trickier to satisfy, but only a little bit. You see, it all begins with her secret recipe (which can be found on the back of a box of Mueller’s elbow macaroni, or on the internet) and ends with replacing the butter, milk, and cheese with their dairy-free equivalents. Another childhood favorite gets the vegan treatment. This time, it's the ultimate comfort food. Recipe adapted from Mueller's Pasta. Cook your pasta for just a couple of minutes, so it is very al dente. It will finish cooking in the oven later! Drain and set aside. Melt the vegan butter in a small saucepan then stir in the flour, mustard, salt, and pepper. Gradually add in the almond milk and cook until mixture is smooth and bubbly, stirring constantly! Cook over medium heat until mixture boils, continuing to stir constantly! Switch the heat to low and simmer 1 minute, while you guessed it - stirring constantly. Add the vegan cheese and stir until it is completely melted, resulting in a beautiful cheese sauce. Add in your elbow macaroni and stir until it is coated in the cheese sauce. 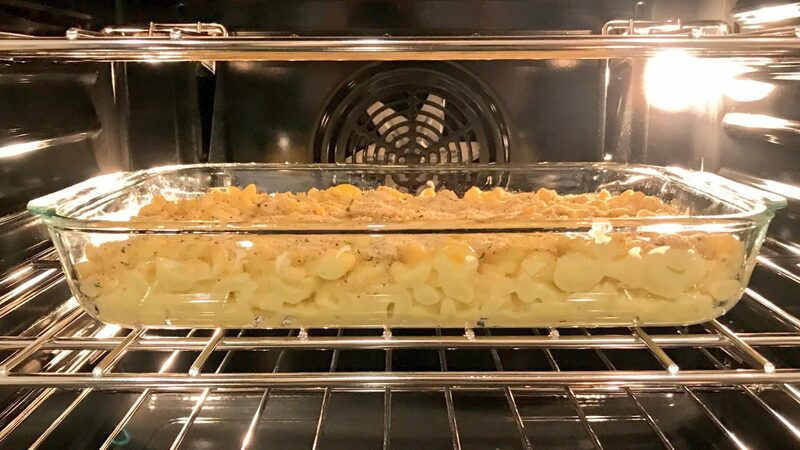 Pour your cheesy macaroni into a 13x9 casserole (I like to use a clear Pyrex). Optionally, steal a few spoonfuls to eat while the rest bakes. I do this every time. Top the dish with a layer of breadcrumbs and bake uncovered for 25 minutes or until the top turns golden brown.